The history of the Department of Natural Science began October 16, 1919. At that period of time Zhytomyr witnessed the opening of a new higher pedagogical school with biology and geography divisions. In 1929 it was reestablished as the Institute of Social Education and the Department of Natural Science became a separate division that trained teachers of biology and geography for the 7-year school. In 1934 the institute was further outlined as a «teacher» one and the Department of Natural Science was reopened. It included biology, chemistry and geography divisions. In 1938 Zhytomyr Teacher Institute adopted 4-year enrollment term and was renamed Zhytomyr Pedagogical Institute. The Department of Natural Science was closed down. World-famous natural scientists worked at the department, namely M. Kudritskyi, meteorologist and researcher of Polissia Region nature; P. Postoiev, geographer; P. Kharchenko, biologist; I. Matkivskyi, chemist; L. Tyshkevych, geologist, and Professor Ye. Brugger, zoologist. The department was further integrated into Berdychiv Pedagogical Institute in 1962. It embraced three course boards that became divisions of botany, zoology and chemistry in 1965. Associate professors I. Pashchenko, I. Okhrimenko, A. Danyliuk and L. Kurkchi were the deans of the department. 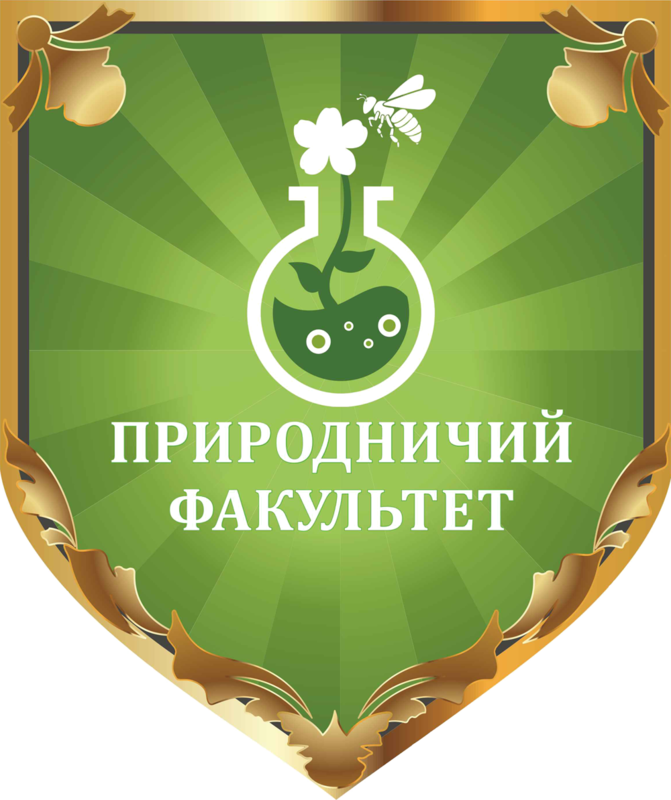 In 1971 many institutes were merged and the Department of Natural Science of Berdychiv Pedagogical Institute was transferred to Zhytomyr Ivan Franko Pedagogical Institute. 250 students and most of its instructors moved to Zhytomyr late August. The department had to work in a non-academic setting on 42 Pushkin Street. Students and instructors prepared laboratories and lecture rooms and the study year began October 6, 1971. In 1972 the number of students expanded from 50 to 75 people as the funding and stuff increased. The division for extramural students was opened. Associate Professor L. Kurkchi was the dean of the department from 1971 to 1974, Associate Professor Ye. Truskavetskyi — from 1974 to 1976 and L. Kurkchi — from 1976 to 2000 again. His student, A. Vyskushenko, has been working as the dean since 2001. Since 2014 the department has been run by Associate Professor Dmytro Andriiovych Vyskushenko. Senior instructor H. Kyrychuk was the dean’s assistant in the period between 1998 and 1999. V. Hyryn was appointed to this position in 1999. Since September 2015 Associate Professor Alpatova Oksana Mykolaivna has been working as the dean’s assistant. As the second assistant was appointed, this position was occupied by Associate Professor L. Yanovych (2001-2003) and O. Anichkina (since 2004). Since April 2015 Associate Professor Vlasenko Ruslana Petrivna has been working as the dean’s second assistant. Students and instructors began to construct the agrobiological station at Zatyshshia town in May, 1972. It was over in 15 years. As a result an outstanding agrobiological station was erected and the Ministry of Education of Ukraine declared it the best among other educational institutions. It hosted numerous seminars and conferences of various levels. There are specialized laboratories, greenhouses, a plant house, museum of geology, refectory and dorms. There is a farming area with standard vegetable crop rotation and a biological and methodological research area. The decorative area embraces flowerbeds and arboretum with more than 20 kinds of trees and bushes that are atypical for the region. The agrobiological station collaborates with the Botany Garden of Taras Shevchenko National University of Kyiv. Its supervisors: Ye. Kulakov (1972-1988), V. Hradovkyi (1988-2002) and I. Zaets (2002-2003). N. Korevo is the supervisor of the station now. K. Kopein, Associate Professor of the Division of Zoology, and his students A. Vyskushenko and V. Hyryn gathered various items for the zoology museum that was later reorganized into the Museum of Nature. 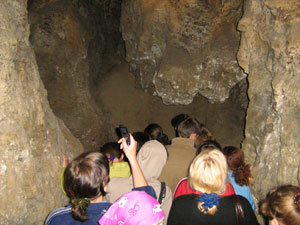 Currently, this museum ranks high among pedagogical educational institutions of Ukraine. H. Korbut, Associate Professor of the Division of Botany gathered many precious samples of minerals and rock formations from Zhytomyr Region, Ukraine and Eurasia. The department building was thoroughly overhauled in 1986. Laboratories and lecture rooms were shifted and changed. New equipment, descriptive materials and furniture were bought. This provided the opportunity to improve the facilities of the department. It has 5 lecture rooms and 19 specialized laboratories with corresponding utility rooms for all the courses. There are two computer classes and a research laboratory at the Division of Chemistry. The library and the reading room embrace more that 45 thousand pieces of academic and study books. 53 instructors work at the divisions of zoology, biological monitoring and nature conservation; chemistry; botany, biological resources and conservation of biological diversity; ecology and natural resources. There are 10 professors, 29 associate professors and 6 candidates of science. 3 of 16 Merited Educationalists of Ukraine work at the department. Namely, Professor A. Stadnychenko and Associate Professors A. Vyskushenko and H. Kyrychuk. The department has huge academic potential. Instructors of the department made substantial contributions to the development of fundamental natural sciences, issued numerous methodological guidelines and textbooks. In 1992 they opened post-graduate course at the Division of Zoology and 25 post-graduate students successfully defended their theses and obtained the degree of Candidates of Biological Sciences. Professor A. Stadnychenko, Doctor of Biological Sciences and Merited Educationalist of Ukraine supervises this course. She is the author of more than 520 academic works and 15 monographs. She created a unique malacological school that hosts various international conferences. More than 30 post-graduates of the department obtained the degree of Candidate of Sciences. Many students successfully pursue research projects. Many of these are well-supervised at the Division of Zoology headed by A. Stadnychenko. More than 280 students issued their articles in foreign and Ukrainian periodicals. They presented reports at international, All-Ukrainian, regional and university conferences and took part in International and Republican Student Project Contests. 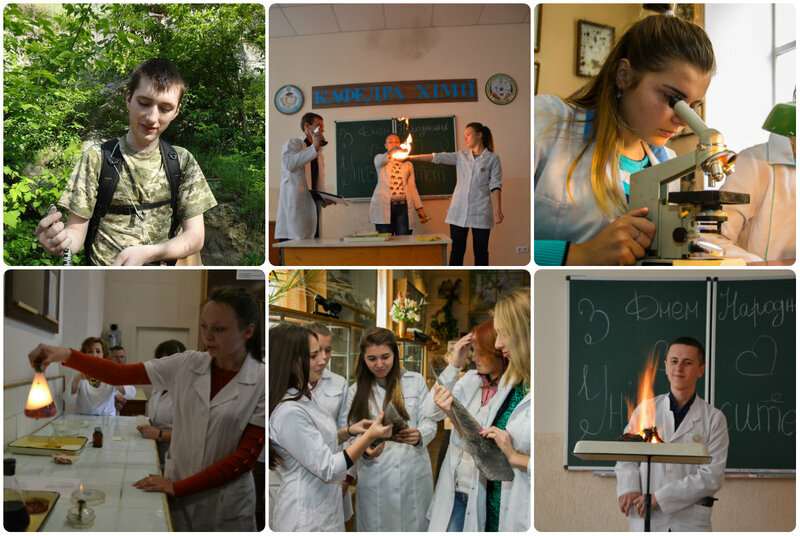 Students of the department ranked high in All-Ukrainian Biology Olympiads and some received Scholarships from the OSF. The studying process is not limited to the study itself. Students also have summer field practice. They trip to different regions of Ukraine (the Carpathian Mountains, Podillia, Polissia, Khaniv, Uman, Askania-Nova and the Black Sea Region), visit nature reserves, arboretums, places of historical and cultural importance. This helps understand nature and Motherland better. Student-related educational work is vast and prolific. It embraces meetings with outstanding students, famous Ukrainian and foreign teachers, students from the Netherlands and Poland. Students carry out art evenings, visit museums, theaters, hold meetings at ecological and zoological clubs, arrange wits competitions and participate in the movement «Save Environment» patronized by the local environmental protection service. 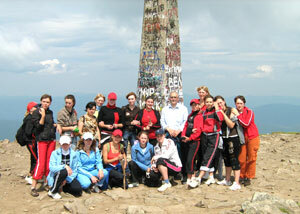 The department is involved in sport activities. There are masters and candidates of sport among students and instructors who could train and compete in one of the best training facilities in Ukraine. This results in great achievements at various competitions, including Ukrainian championships.